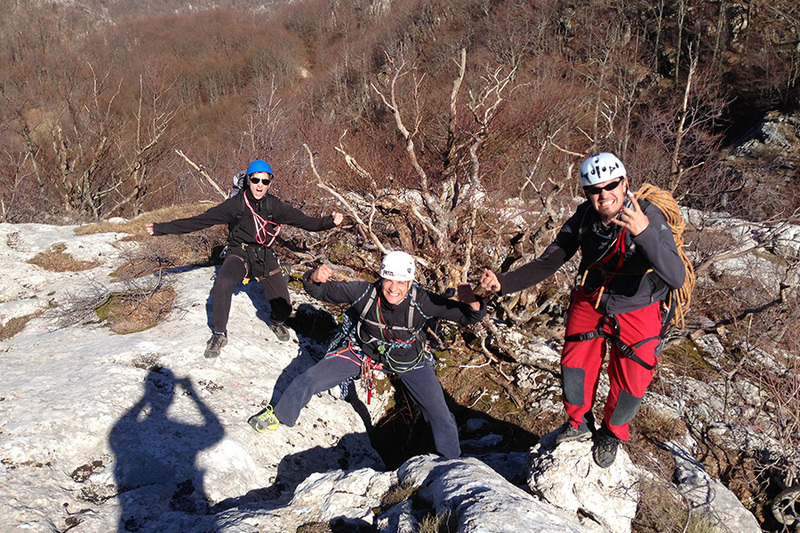 You will be climbing at Ravni Dabar in the heart of the Velebit mountain. This is the place where mystical beings reside. Beautiful white rock towers seem like old castles. A climber's paradise indeed. What can I expect of this adventure? A bit of friendly advice; climbing, especially long routes is highly addictive. Say goodbye to your old friends, sell your TV, quit your job and join us in the mountains! 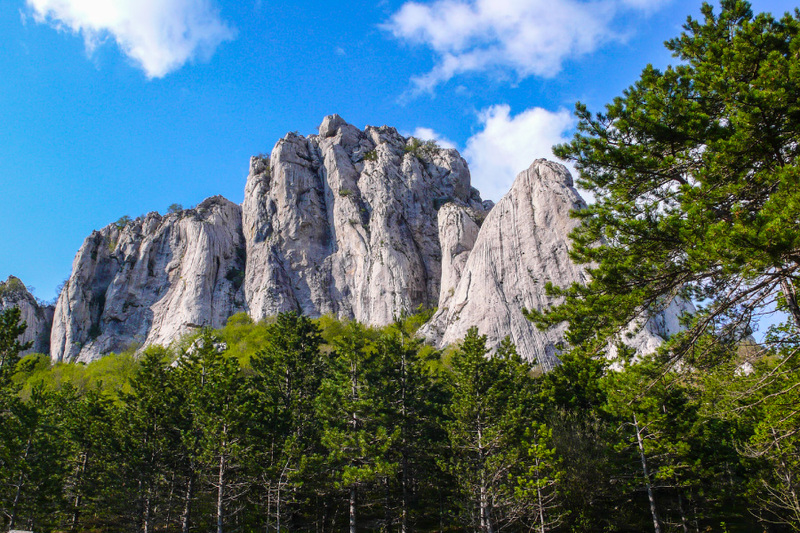 Escape the crowds on the beaches and the scorching summer heat and come to the climbing adventure paradise at Dabar in the heart of the Velebit mountain. 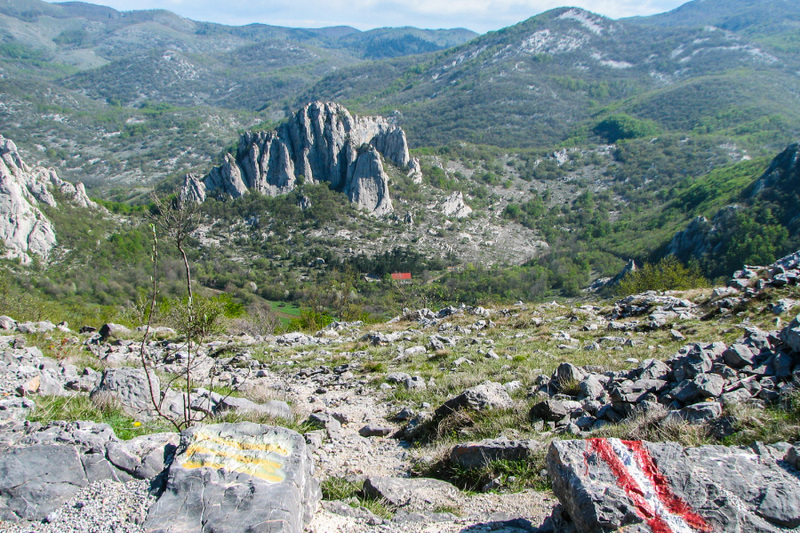 Welcome to Ravni Dabar in the heart of the Velebit mountain. Fresh air, intense colours and smells, cool, crisp mornings and evenings. This is the place where mystical beings reside. In this fairy tale landscape, the beautiful white rock towers seem like old castles scattered around the fertile fields. A climber's paradise indeed. Arrival at Ravni Dabar and quick rest at a mountain lodge in the company of the host Mile. Be warned! Mile will shake your hand; try not to cry as this gentle giant tightens his grip, you will be told a joke or two even if you do not understand Croatian; please laugh and if you do, from now on Mile will address you as “Rojaće” (Row-yah-che) meaning you are practically a family member. Meet and greet with the rest of your guides. This is usually quite an exciting time because you will meet the person who will, from this moment on, constantly keep you company, whether you like it or not ;) Be sure to read the biographies of our guides so you know who to choose. You will have a chat about climbing and based on your experience, ability and desires we will pick just the perfect route to climb today. 11:30 Coffee and Brunch on the lawn. Cooking on mountaineering stoves or open fires . Mile, the host, will certainly offer you his specialties and home-made rakija. If you like homemade, rustic mountain food, we recommend that you taste Mile's cuisine. You can try rakija when we return from climbing. For security reasons, alcohol is strictly forbidden at this time ! Getting to know the equipment and learning/repeating knots and climbing techniques. People who have no experience will be introduced to all that is needed for a safe climb and a suitable, safe route will be chosen for them. 13:00 trekking towards the routes. Each guest and his guide /climbing partner will head towards the climbing routes and prepare for climbing. Helmets are mandatory from now on! Arrival at the foot of the routes. Partners come under the routes and prepare for climbing. They put on the remaining gear and double-check everything. Climbing! Finally! This is what we came here for! Slowly and surely, guided and / instructed by your guide / instructor / climbing partner, meter by meter you make your way up the fabulous routes till you make it to the top! Abseil / repelling – What goes up, must come down. There are two ways of descending from the top of our routes. For those who have time to spare and who are willing to try something new, we offer the possibility of rappelling (abseiling) down the route. 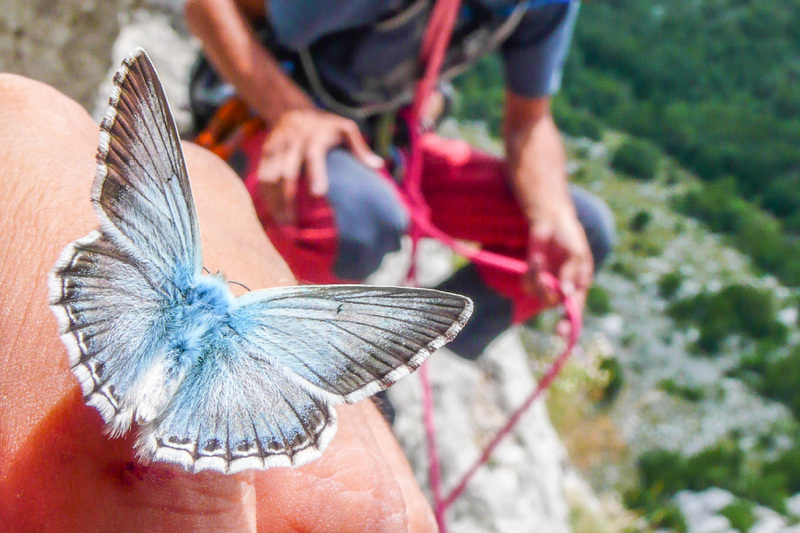 Rappeling is yet another thrilling segment of climbing. Those who have had their dose of excitement for one day, can descend along beautiful forest lanes towards the camp. 18:00 to 19:00 Gathering in front of the lodge, coffee, cocktail, dinner ( Mile's cuisine or improvisation by the stoves). If you haven't still tasted Mile's cooking, you will want to try it now, after a whole day spent on the rock and probably ask for more ! :) . That's climbing! You asked for an adventure, and now you got it :) Don't worry, very soon you will be full of optimism again, ready to tackle new routes!